At Axenics, we specialize in Gas Tungsten Arc Welding (GTAW), also known as Tungsten Inert Gas, or TIG Welding. We perform this type of welding because it allows for accurate, repeatable and refined welding, and is therefore ideal for projects where there is a need for high quality and precision. Many industries require high purity welding services, which TIG welding helps us to deliver. 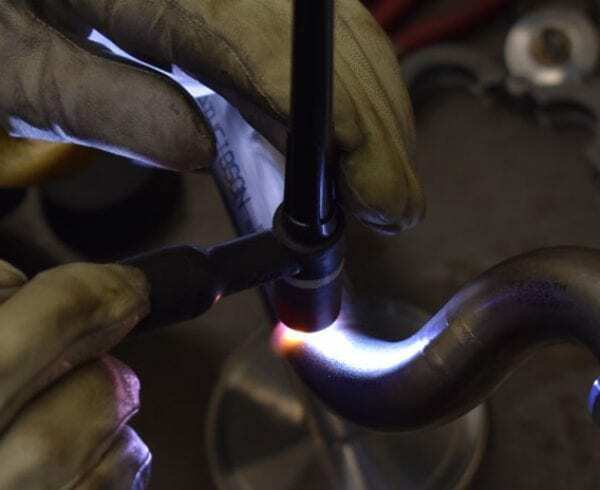 While there are many things to consider when performing welding services, this post will explore the different types of shielding gases that can be used, as well as the different welding processes available – and their effect on the final result. 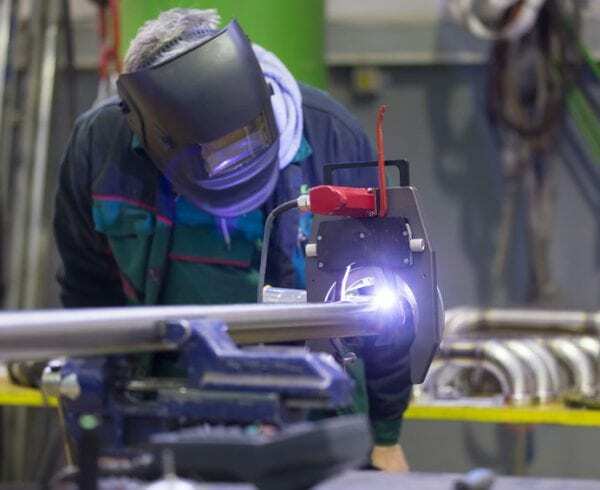 The type of shielding gas and the welding process utilized depends on a variety of factors, including the size of the weld, the desired finish look, and the type of base metal being welded. 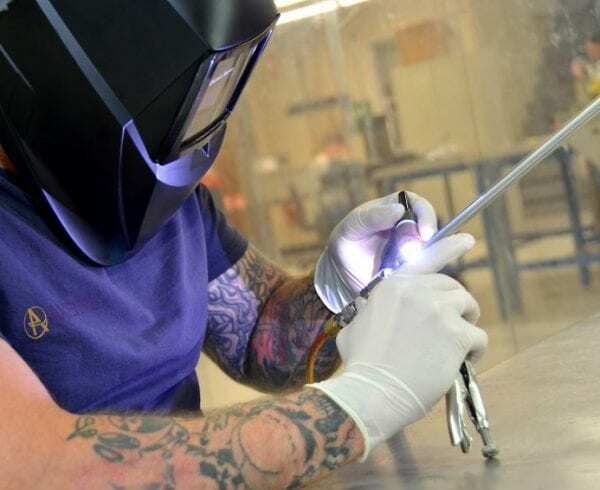 Because an inert shielding gas – such as argon, helium, or a mixture of both – is used to protect the weld area and the electrode from oxidation or other contamination, this type of welding results in extremely clean welds. Pure argon is most commonly used, followed by a mixture of argon and helium, while pure helium is typically only used in very specific GTAW applications. When pure argon is used (as it is at Axenics), the weldment produced will often have a brighter and shinier look to it. On the other hand, a weldment produced by using a helium/argon mixture will typically look a bit duller, and may require some wire brushing to achieve a shiny, finished look. 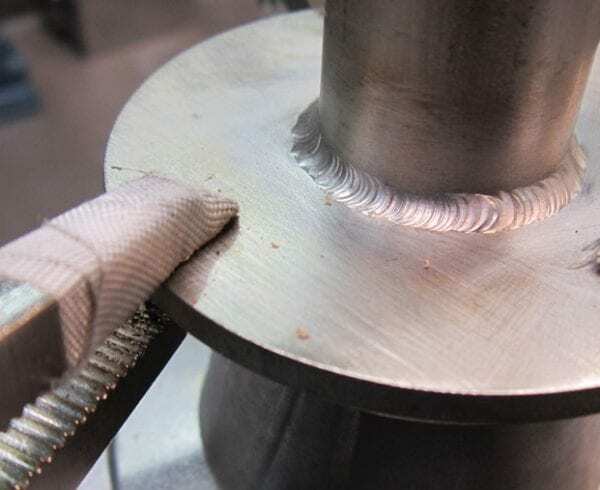 TIG welding of stainless steel can be performed both with or without the use of filler metal, which makes it a popular welding method in a variety of industries. 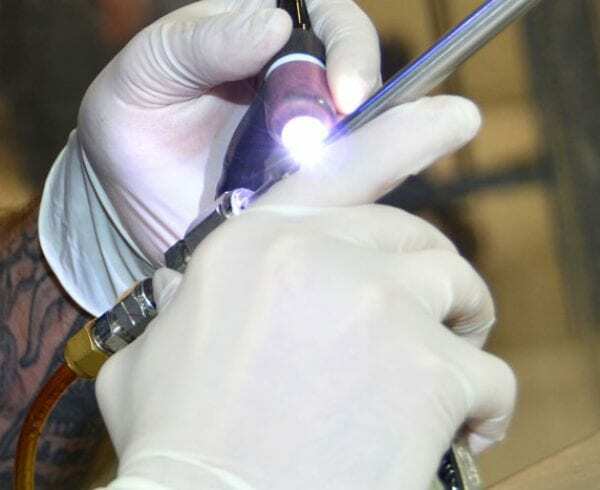 There are two main categories of TIG welding, resulting in two different types of weldments. Autogenous weldments are produced by joining metal surfaces without the use of a filler metal. This method is often used when welding carbon and stainless steels, because of their low heat-conductivity properties. It is also commonly used for relatively small welds. 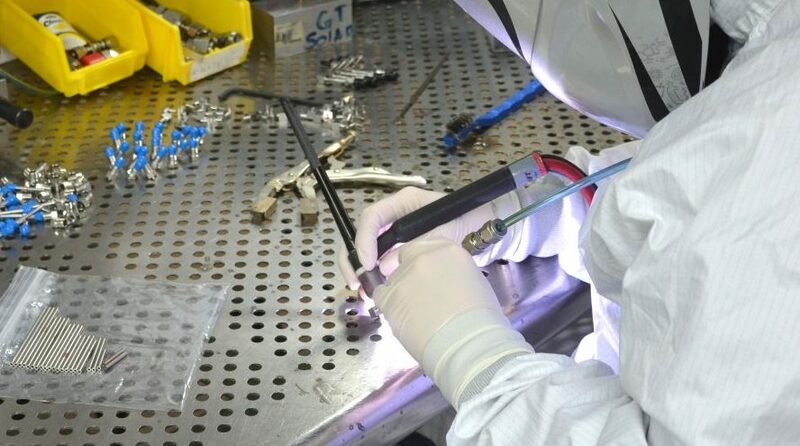 It is easiest to perform autogenous welding when the thickness of the metals to be joined is less than 5mm, though it can be done with thicker metals in some cases. Alternatively, in homogeneous welding, a filler metal is used to join two metals together. When using this method, the filler material used will be the same as the base metal. There is also a third type of metal joining, where a filler material different from the base material is used. This is sometimes referred to as heterogeneous welding. Soldering and brazing two examples of this type of joining process. 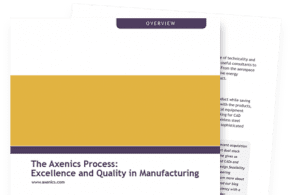 When it comes to TIG welding, Axenics has a deep knowledge and expertise, which allows us to deliver the highest quality welds to our customers. Our team of certified welders is capable of producing weldments that range from ⅛” to 6” in diameter and larger. And, we have developed highly effective methods to create weldments in various shapes and sizes, to meet the specific needs and challenges of a wide range of customers.